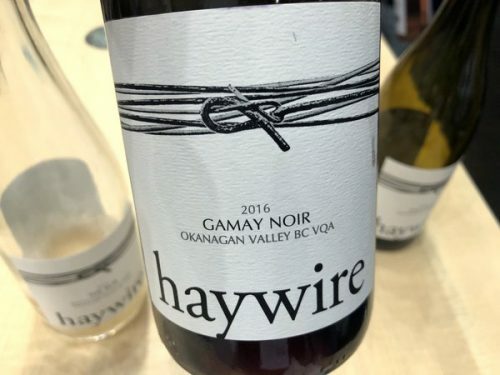 This is becoming one of the most exciting wineries in all of Canada. 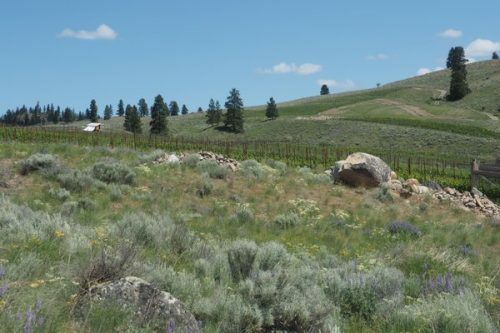 I first visited Okanagan Crush Pad back in 2014, and since then things have come on in leaps and bounds. 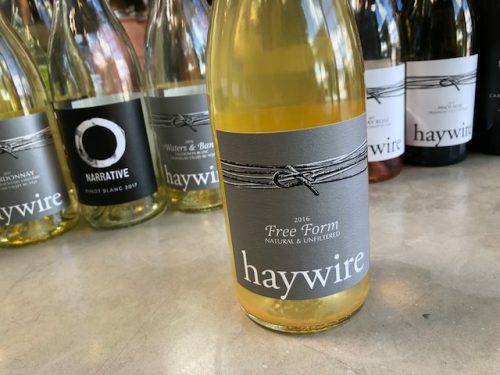 In particular, the winemaking, under New Zealander Matt Dumayne, is confident, brave and spot-on, resulting in some exciting wines. 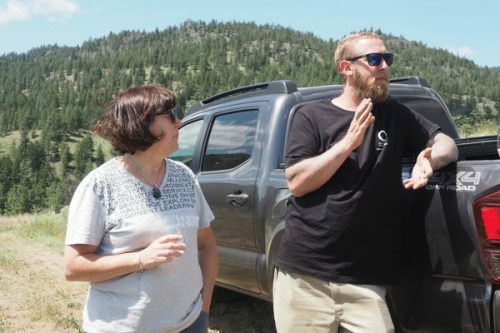 Owners Christine Coletta and Steve Lornie have invested a lot into this business: they have been busy developing a beautiful estate at Garnet Valley Ranch, and this year they purchased the Secrest Vineyard, which they’d been sourcing from: the owners wanted to sell and the only way of securing these grapes was to buy the vineyard, which in the Okanagan is an expensive option. Oakanagan Crush Pad is the name of the winery, and the two brands are Haywire (estate-owned or long-term contract vineyards), and Narrative (bought-in grapes, or things which might change each year). 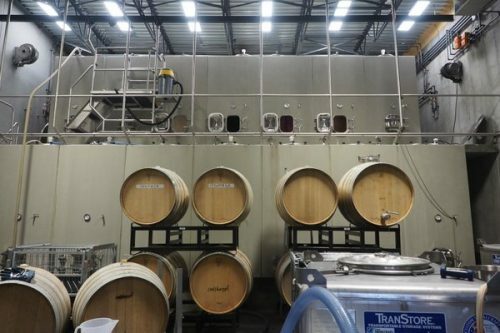 As well as making their own wines here, this is also a crush pad, and half the 50 000 case production is for customers, but this is gradually decreasing. We visited Garnet Valley. The last time I was here in 2014, they’d just planted the first 10 acres of Pinot. 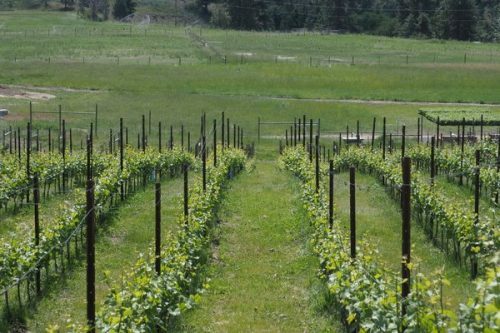 The 320 acre property will eventually have 60-80 acres of vines, with Pinot, Riesling and Chardonnay, and in the current wave of planting Gamay and Chenin. One of the plots, at 680 m, is the highest in the region. They’ve left wildlife corridors, and the most they moved the earth when they were contouring was 6 inches, under the advice from consultant Pedro Parra. Parra’s advice was good: neighbours who’ve moved lots of earth have struggled with the vines establishing themselves. Viticulturist Duncan Billing explained how he’s been using compost to build up the upper layer of soil so it has some organic matter. Farming here has been organic from the outset. 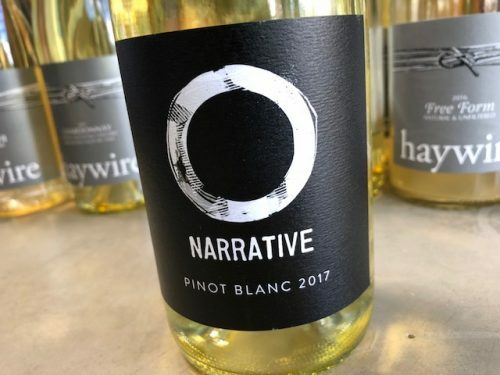 In the winery, it’s clear that the approach here is different. There’s a lot of concrete, not much stainless steel, and hardly any oak. Matt Dumayne explained that he’s done lots of comparisons. 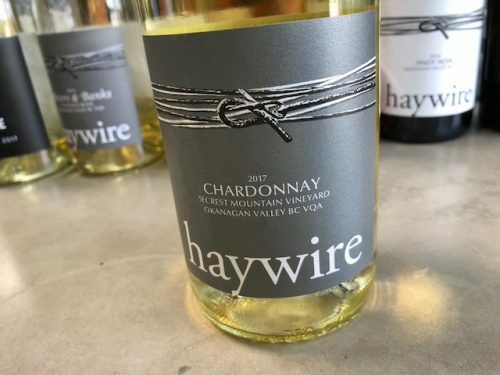 The barrel wine is barrel wine, the stainless steel is linear and focused, and the concrete wine may lose a bit of varietal character, but he says the layers of texture and complexity are ‘through the roof’. 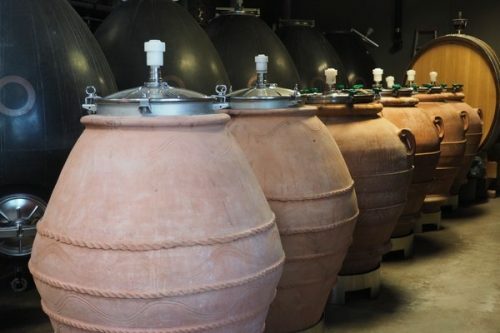 He adds, ‘it’s always the better wine.’ A new addition in the winery are some larger concrete tanks: there are seven each of 5000 and 3000 litre tanks, stacked on top of each other. The concrete eggs here come from Sonoma Cast Stone, but the larger concrete vessels come from Nico Velo in Italy. Matt stopped acidifying three yeas ago, and isn’t afraid of the typically high pHs found with reds in the Okanagan. He says he has bottled Pinots at pH 4 or 4.1, and five or six years down the track they’ve been fine. 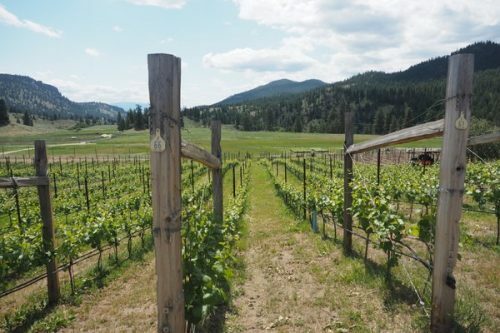 ‘You can bottle at pH 4.2 with 6 g TA and freshness, so who cares?’ The young glacially deposited Okanagan vineyards tend to produce grapes with a massive potassium shift, and so you add tartaric and it doesn’t change pH, it just increases the TA. Wowee I loved the video and I am so gad you got to visit again. Isn’t it such a special place.